I am luck to be one of the four comperes to serve in the 2016 Bonaier Spring Festival evening, and I have witnessed front stage and behind the scenes for comperes . First of all, the compere team is selected through the company’s internal registration and selection, it adds to four people from two people in the previous year. Moreover, the workload of presiding is the highest in history over the previous years, and it was completed after four amendment. At last, the team make time for lines and rehearsals during the tense work. In the evening party, the team basically hand over a satisfactory result. At the same time, I also find that there are so many talents in Bonaier, such as the new colleague Sun Hui in the project department, in addition to completing the host tasks, he also shows his personal art of singing. Mr. Pan’s speech at the 2016 annual meeting is very splendid, he not only expresses the improvements within the company’s departments, such as the welding robots of No.2 manufacturing department, AGV trolley program of logistics department, the establishment of ring mold lab, internal TPM and QSB propulsion; he also expresses that our company strives to enter Chery's A-class supplier in 2017. At the same time, he also mentions the awareness of quality worries arising from of the “rupture of rotor of FAW Volkswagen Sagitar” incident. Finally, he puts forward the outlook for 2017, mainly including the planning of output value, the annual TOP10 tasks of various departments and the reform of the company’s internal salary system. The above content is indeed inspiring, and also meets the current catchword: roll up your sleeves and refill in 2017. 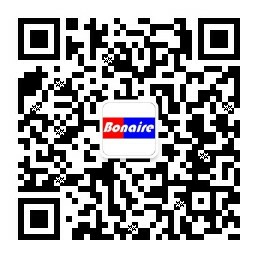 In the past year, the staff of Bonaier worked hard and rised abruptly based on its accumulated strength. A large number of outstanding individuals and advanced collectives emerged, playing an exemplary role. One of the things that moved me most was the winner of excellent family support award (Daikun family and Zhangwu family), they are firmly committed to their posts. The reason why they put all their energy into the work is because of the support of their families behind them. This annual meeting has a total of 17 programs, which are the crystallization of our wisdom. What influenced me most is the sketch The Continuous Biography of Zhenhuan from sales department. The colleagues of sales department imitate absolutely lifelike, and the audience burst into laughter. Another program is Three Device Products Show from the No.2 manufacturing department, all models work at the production line, which not only exhibits compelling products of Bonaier, but also shows the elegant demeanour of our staff working at the production line. I’m so proud of you! With the development of technology, smart phones have become an essential tool for everyone. This annual meeting also follows the trend of WeChat draw. It really makes everyone scream and excited. At last, through this evening party, it makes me realize: the company continues to grow, we need more hard-working people. There are so many talents in the company, the waves behind drive on those before. At the same time, under the strong leadership of General manager Pan and efforts of all personnel in the company, we can surely meet achievement and create glory in 2017. Copyright ©2015 - 2017 Bonaire Automotive Electrical Systems Co.,Ltd.